TSMC is reportedly churning out 10-nanometer "A11" processors for Apple's "iPhone 8," which is likely to be announced early next month —even if a ship date is still nebulous. The "iPhone 8" could ship as soon as next month —but if so, possibly in very low quantities. Indeed it's rumored that the phone will only start mass assembly in September, when typically Apple prefers to have a month or two under its belt for any new iPhone. 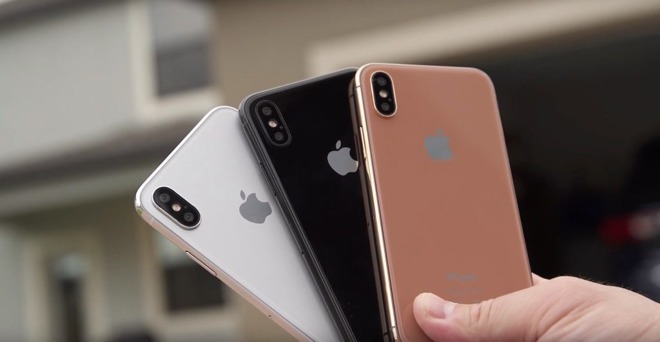 The company may be counting on the "iPhone 7s" and "7s Plus," which should share some "8" features —like the "A11" and wireless charging —but use 4.7- and 5.5-inch LCDs instead of an edge-to-edge, 5.8-inch OLED panel. They should also have physical home buttons with Touch ID, whereas the "8" will have a virtual button and may even abandon Touch ID in favor of facial recognition.